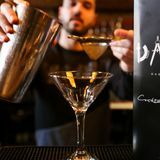 Dado54 is a bustling late night cocktail bar serving a great choice of wine wines, world beers and bespoke cocktails. The food menu offers a varied choice of light bites including crostini with parma ham; sloppy Joe nachos; leek and cheddar croquettes. 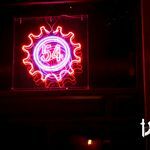 From Wednesday evening, Dado54 hosts DJs and occasional live music events. "The bar where magic happens. Set in a two hundred year old building, Dado54 has everything you need to make your night out perfect. 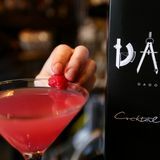 Dado54 is one part cocktail bar and two parts party! Open Monday to Friday, we offer the perfect place to unwind and socialise. 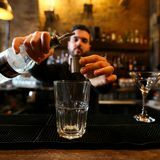 Our bespoke cocktails will blow you away as well as our fantastic sharing platters. Take advantage of our generous happy hour running from Monday to Friday from 4pm till 8pm! All of this takes place in a quaint and quirky London building, with features by local artists as well as up-cycled furniture we've taken a stab of DIY too. We like to think it has character and we hope you'll agree." We have an extensive outdoor smoking area and huge double doors opening onto Farringdon street for ease of access. Watch this space for tables and chairs outside in the new year! What did you think of Dado54? This place is nothing to do with any other venues around the area. It's got a quirky style, brick walls and apparently is based in a 200 years old building. Has nice private spaces for either small and large groups. 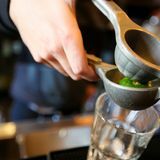 Service is good and cocktails are amazing. I highly recommend it.